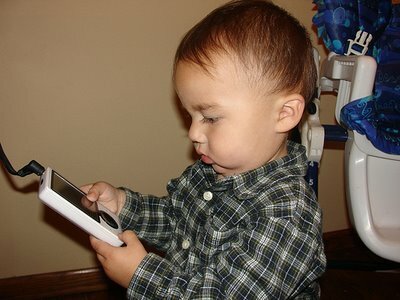 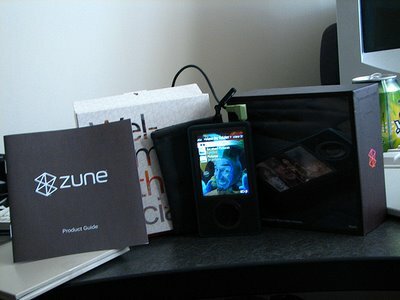 Even children enjoy the Zune's stylish look. 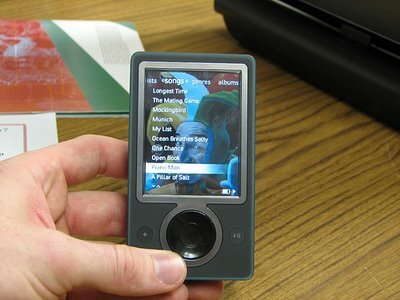 Another of the Brown Zune, this time in better lighting and with a much cooler background image. 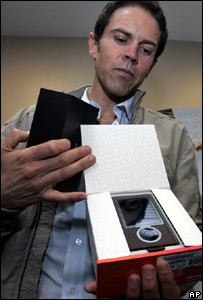 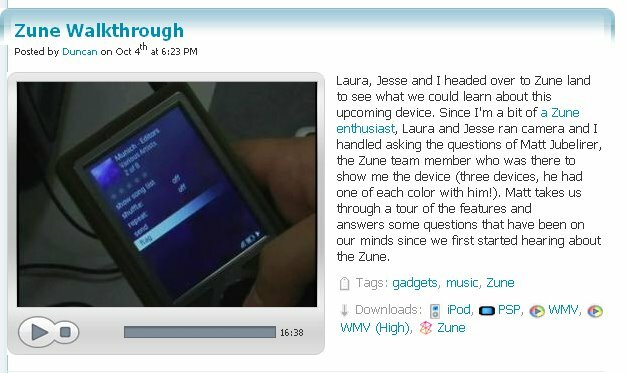 Here some marketing guy is freeing the Zune from its wrapper. Two Zunes playing nice and sharing some songs. 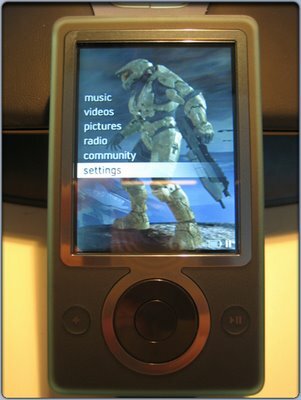 and ofcourse everyone's favorite background, courtesy of Bungie.net. 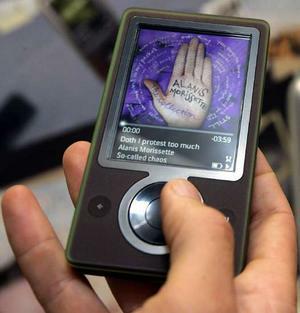 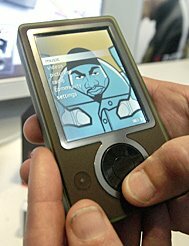 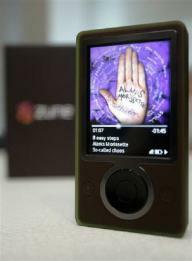 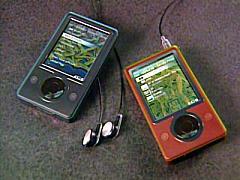 Hope you enjoyed the pictures, stay tuned next week as we round up all the different Zune videos floating around.